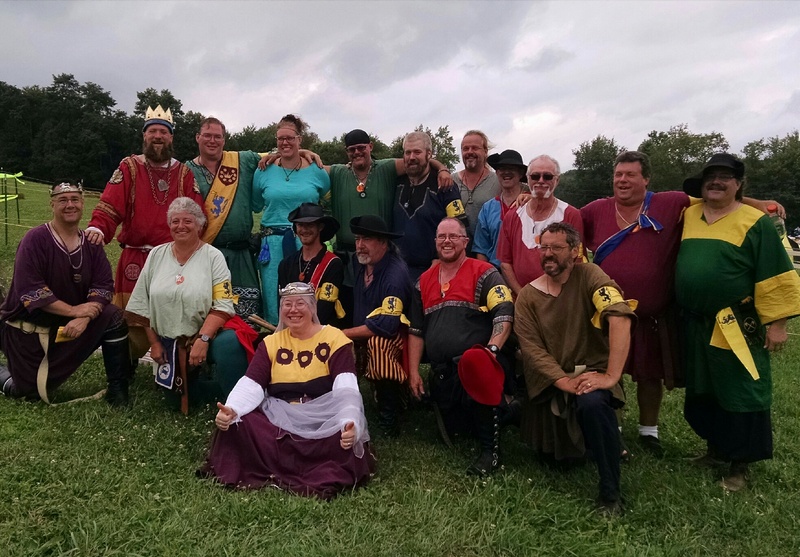 In early August, AS LIII, Their Majesties Baselius Brennan and Basilissa Caoilfhionn did visit the Kingdom of Aethelmearc and bring their army to attend the 47th Pennsic War. Many contests, tournaments and combats were held over many days, and in the end, the East Kingdom and their allies were victorious. Thus concluded the 47th Pennsic War. Thank you to Malcolm Bowman, Pagan Graeme, Duarcain MacWard, Doroga Voronin, Yehuda ben Moshe, Peronelle de Croy, Aloysius Sartore, Martin Wasser Spier, and Bella di Sicilia for helping to herald, and to Brigit inghean ui Crotaigh & Oda Lally for Silent heralding. East and allies win 1 war point for the Castle Window shoot, Middle and allies win 2 war points for the Advancing Soldier and Clout shoots. Friday is the fifth and final day of Populace War Point Shooting. If you have not already shot each of the 3 shoots 5 times, please get up to the range and finish-up! EVERY archer matters. Daily totals provided by Baron Colin Ursell, EK Captain General of Archers, and reported to the Gazette by Mistress Ygraine of Kellswood, EK Archery Scorekeeper. 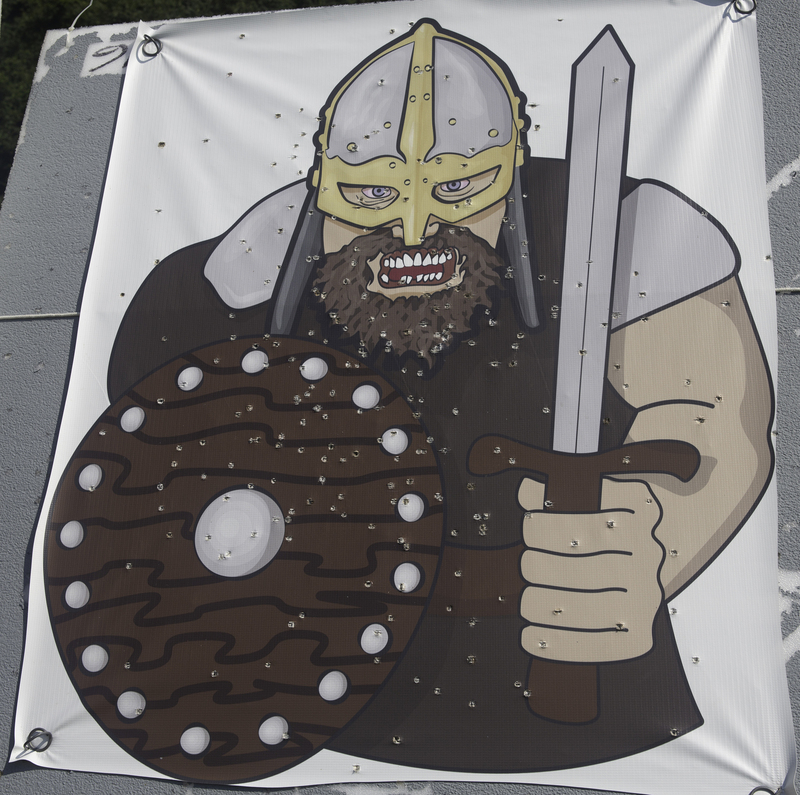 Target photos by Lord Mikjall Bogmadr. 8/10/18 corrected typo: 2172 not 2127 on Day 4 Advancing Soldier for Midrealm. Today, 15 of the 68 war points were decided. This post has been corrected, the Gazette incorrectly posted that the East won all five A&S points. Today, 10 of the 68 war points were decided. Please note that the Populace War Point shooting is CLOSED Wednesday, because the Archery Champions Team Competition uses the whole range. Spectators are welcome. Come cheer-on your Champs! The roving range part of the competition is especially fun to watch. Archers may shoot each of the three populace War Points up to a maximum of 5 times – either once on each day the range is open, or by shooting multiple times on fewer days. Every archer of any level of skill or experience can score war points. Come out to the range and be an East Kingdom Patriot! Today, 13 of the 68 war points were decided. 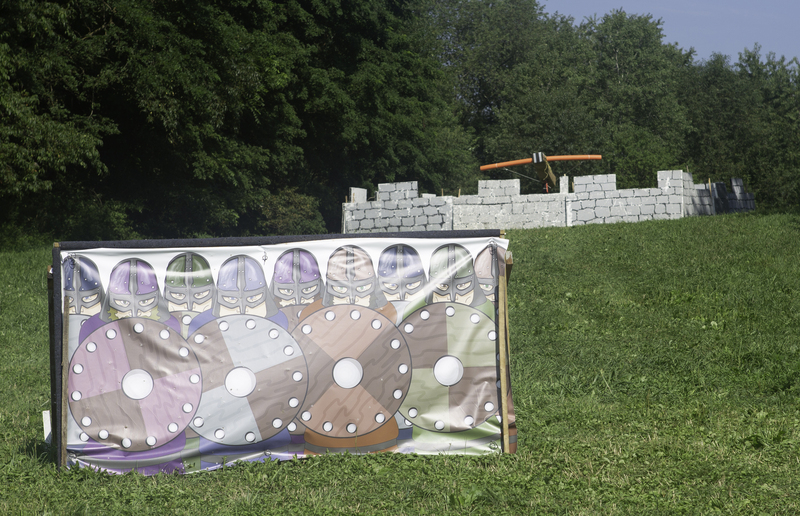 Armored Woods Battle (7 points): The East and allies won 5 points, the Midrealm and allies won 2 points. Rapier Woods Battle (6 points): The East and allies won 4 points, the Midrealm and allies won 2 points. Names provided by Baron Colin Ursell, EK Captain General of Archers, and reported to the Gazette by Mistress Ygraine of Kellswood, EK Archery Scorekeeper.